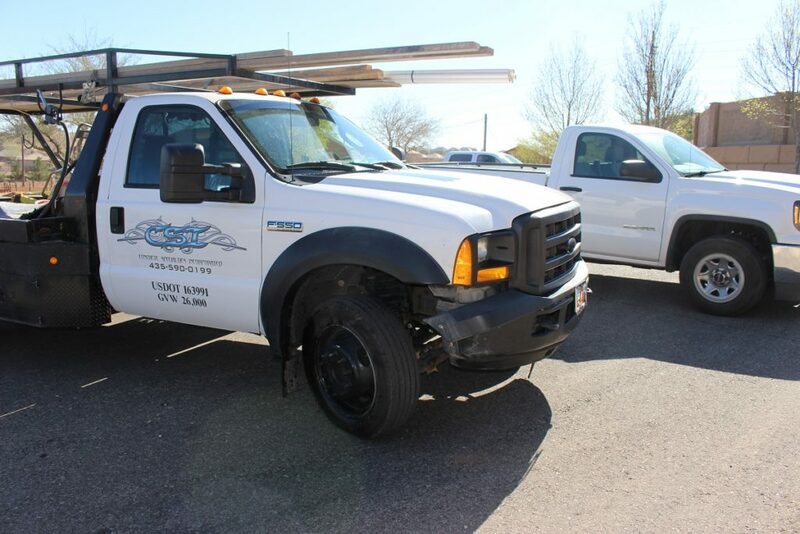 ST. GEORGE — A crash on River Road kept responders busy after a driver pulled out on front of a work truck Friday morning, a collision that left extensive damage and minor injuries in its wake. Shortly after 10:30 a.m., a two-vehicle crash was reported near 3025 S. River Road. 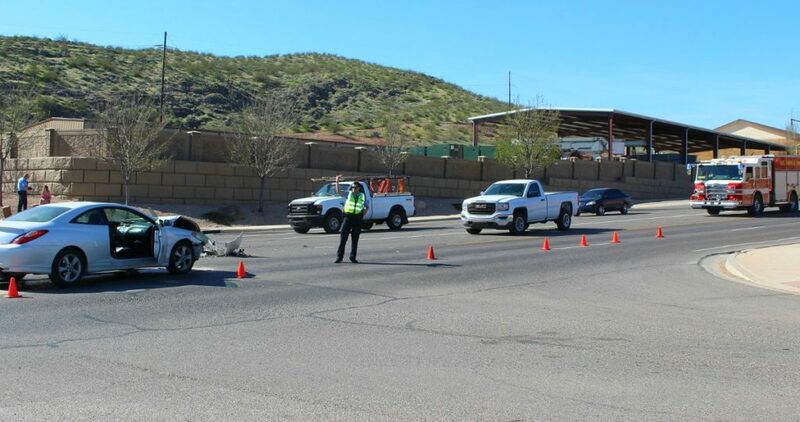 When responders arrived, officers found a white Toyota Solara in the middle of the roadway facing south and a white Ford pickup truck pulled off to the side of the roadway, St. George Police Officer Ken Childs said. During the investigation, officers determined that the woman in the Toyota was heading east on Tamarisk Drive, Childs said. At the intersection with River Road, she pulled out to make a left turn, intent on heading north, but collided with the southbound Ford instead. The Toyota struck the Ford on the passenger side, an impact that caused extensive front-end damage to the Toyota. The Ford sustained damage to the front passenger side bumper. The driver of the Toyota told officers she thought the truck was turning right on Tamarisk when she started out from the stop sign. Minor injuries were reported by the occupants of the Toyota, primarily caused by air bag deployment and abrasions from the seat belts. No injuries were reported in the Ford. A passerby stopped to assist with traffic while responders were en route to the scene and subsequently provided a statement to the officers. The Toyota was rendered inoperable after the crash and was towed from the crash site, while the Ford was driven from the scene. The woman driving the Toyota was later cited for failing to yield on a left turn. 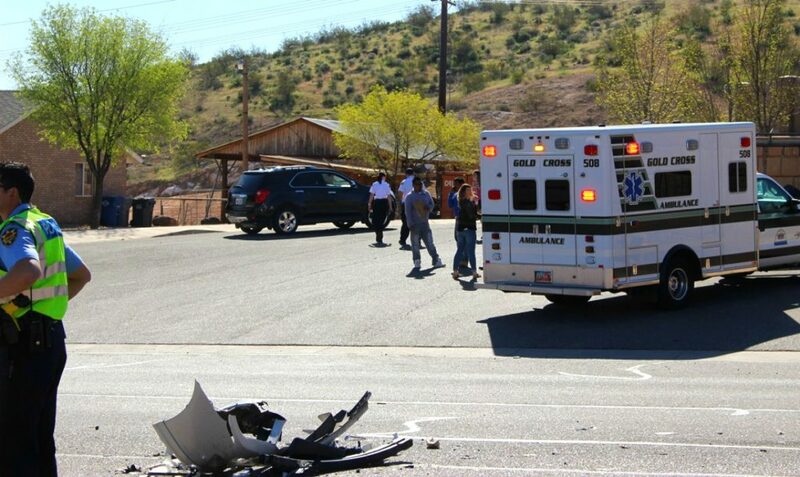 The St. George Police Department, St. George Fire Department and Gold Cross responded and tended to the scene.